The Alaska Department of Transportation & Public Facilities (ADOT&PF), in cooperation with the Alaska Division of the Federal Highway Administration (FHWA), is proposing to construct new pedestrian facilities, a rest area, and intersection improvements near the Denali National Park Boundary, MP 231 Parks Highway. We are currently working on conceptual designs and preliminary engineering, and we expect the project to be constructed in 2021. The purpose of this project is to enhance safety and accommodations for pedestrians, bicyclists, and visitors in the MP 231 McKinley Village) area. The project is needed to improve safety and mobility for both motorized and non-motorized users in the Parks Highway MP 231 area. 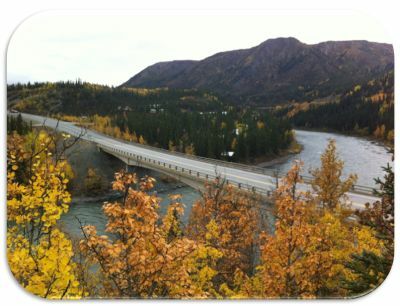 Replacing the Nenana River Bridge No. 694 to add turn lanes, 8-ft shoulders, and a separated multi-use path. Construction of a new Denali National Park & Preserve owned and maintained wayside. Construction of new turn lanes for the wayside, the MP 231 intersection, and the Old Parks Highway intersection at MP 230. Multi-use path from MP 231 to the wayside. Pedestrian underpasses at the MP 231 intersection and the north bridge abutment. Trail connections and re-routing (Triple Lakes and Oxbow trails). ADOT&PF will be hosting another open house on this project in the winter of 2018 in Denali. After the date and location of this event are determined, this website will be updated or you can sign up to be alerted via email about project updates by submitting your email address on the form to the right. Public meeting flyers, comments and other materials are available on the sidebar. We would like to thank everyone who has participated in our public involvement to date.